Mercer County, PA is an ideal playground for diverse outdoor activities. On land, water or air, visitors will delight in the beauty of the region’s wonderful outdoors. There is something special about outdoor activities that develop closer connections, makes getting healthy fun, and leads to an adventure you will long remember. 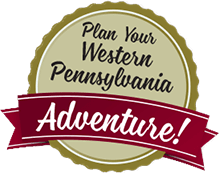 VisitMercerCountyPA has identified key hiking, biking and water trails that you will love. 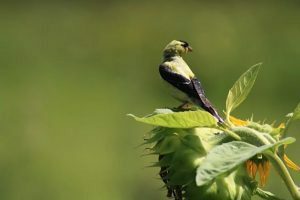 Take a friend or your family and hike or bike the 12-mile scenic multi-use paved trail that loops around Lake Wilhelm at Maurice K. Goddard State Park. 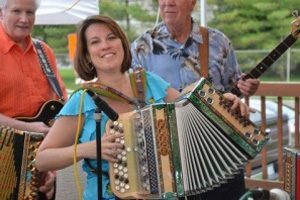 Mercer County, PA – A wonderful family event, the National Button Accordion Festival, is coming to Mercer County, PA, for the 2017 Memorial Day Weekend of May 26, 27 and 28, 2017. The festival host is the Apollo Maennerchor Club on 291 South Dock Street in downtown Sharon, PA. Visitors can grab their accordion and dancing shoes. Featured instruments for the eleventh year of the festival include the diatonic button accordion and the piano accordion.